Well over 700 examples, drawn with painstaking care, are shown: representations of flora and fauna, men and gods, earth and sky; symbols of clan and tribe, religion and magic; formal designs from the primal to the highly intricate. They appear in examples of basketry, weaving, pottery, sculpture, painting, lapidary work, masks, drumheads, weapons, apparel, beadwork, goldwork, blankets, ponchos, and many other forms. 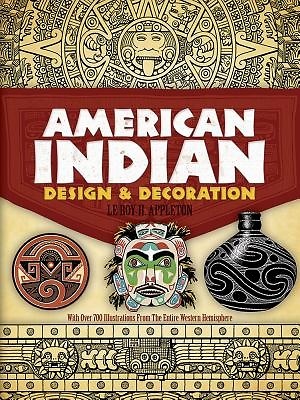 The arts and crafts of India, Tiahuanaco, Chimu, Maya, Aztec, Zapotec, Totonac, Mixtec, Navaho, Zuni, Hopi, Apache, Cherokee, Creek, Winnebago, Dakota, Blackfoot, Nez Perce, Cheyenne, Crow, Sioux, Cochiti, Haida, Bellacoola and others known and unknown are here.